Show your love of the horde with the Mad Viking Original “Skully” Logo which measures 3.5 inches tall by 3 inches wide. Vivid colors make this all fabric, sew on patch the perfect fit for applying to vests, shirts, hats and jackets! Exquisite detail and super clean stitching give our “Skully” a nice depth. Product has a nice bright white which shows stark contrasts with the blacks and reds. 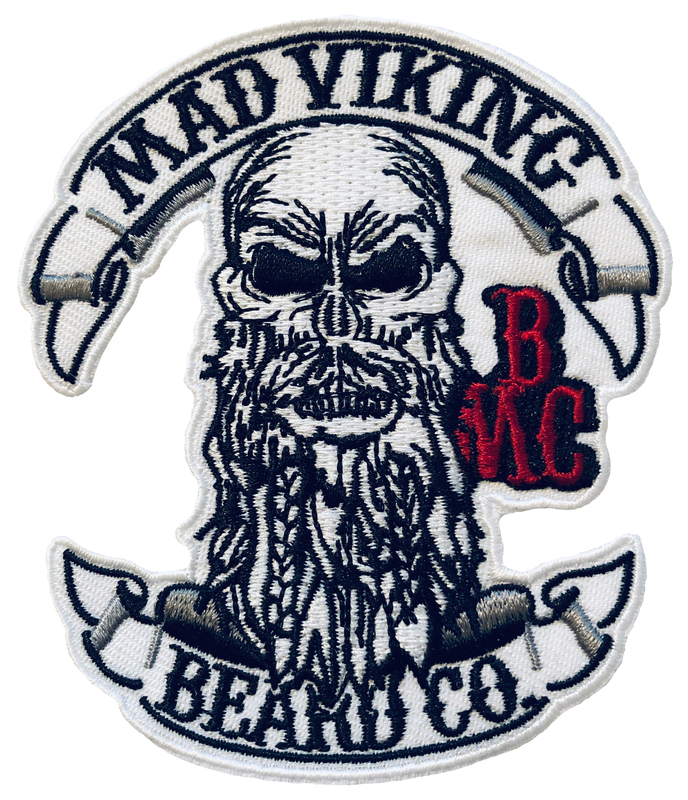 This makes the perfect addition to our Mad Viking Dickie. Product is sew on only! Looking for some stickers? Check out our huge Original Skully Logo sticker. Mad Viking, Live by the axe, Die By the axe!